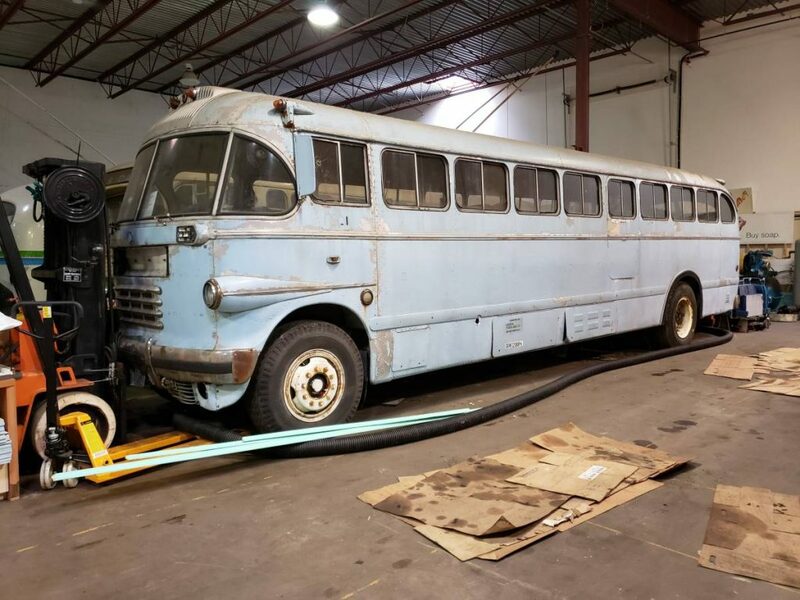 We are in search of a good home for bus #101, our 1947 Canadian Car-Brill IC-41. 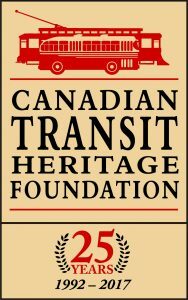 Canadian Car & Foundry licensed this design from American Car & Foundry in the early post-World War II period. As the company’s most popular post-war intercity coach, they were often seen throughout North America. Our example was built in 1947 by the Canadian company but is virtually identical to its U.S. cousins. It provided Pacific Stage Lines’ front line service as #228, and later #6228, until the arrival of MCI Coaches in the early ’60s. It was then sold to Horizon Coach Lines and renumbered #101, serving them as a charter bus until the late ’70s or early ’80s. After its retirement, it was neglected and left to sit outside, falling into a state of disrepair. 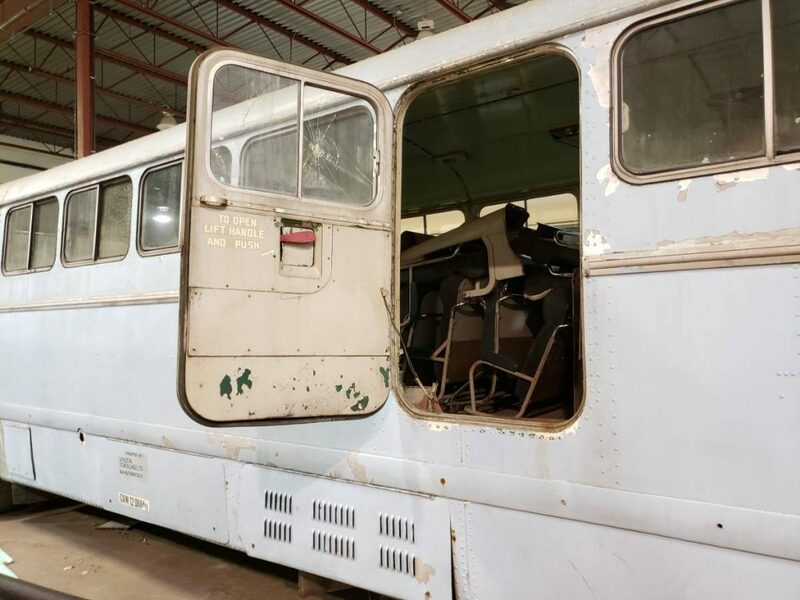 We acquired it in 2006 with the intention to restore it to operating condition, but decades of neglect had left it with expensive structural damage among other issues. #101 has been sitting for approximately forty years, spending most of those four decades sitting outdoors. Only more recently was it moved indoors for storage. It does not run and therefore does not drive. The shifter and clutch pedal for its four-speed manual transmission appear to be stuck; good thing it’s stuck in Neutral out of everything it could possibly be stuck in! The extent of structural damage is severe. The steel frame is badly rusted and cracked in several areas. 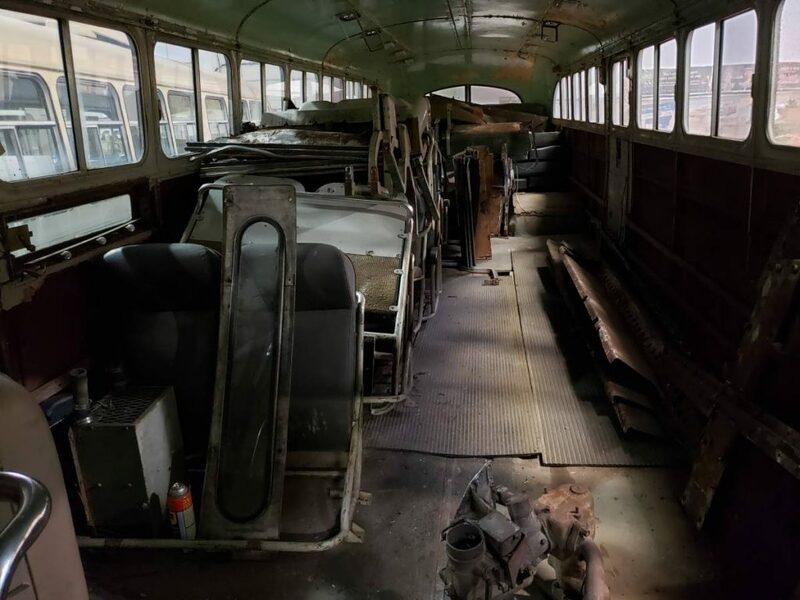 It can still hold the weight of a person or two and allow for the bus to be pushed or loaded onto a trailer, but most of its integrity has been compromised. #101 is powered by a 779 cubic inch Hall-Scott gasoline engine. Hall-Scott was ACF’s in-house brand of engines. It is a single overhead cam horizontally-mounted inline six cylinder. We were told its transmission is a non-synchromesh Spicer. 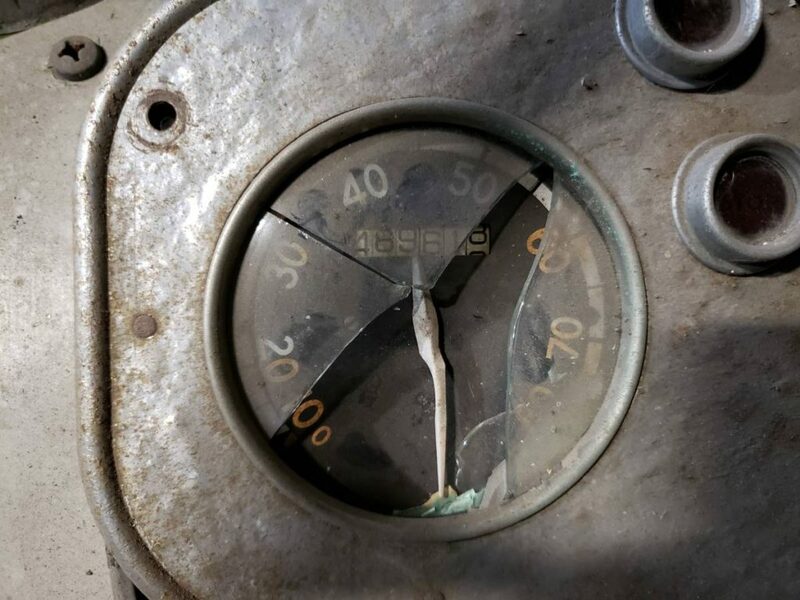 The odometer shows approximately 490,000 miles or 790,000 kilometers. 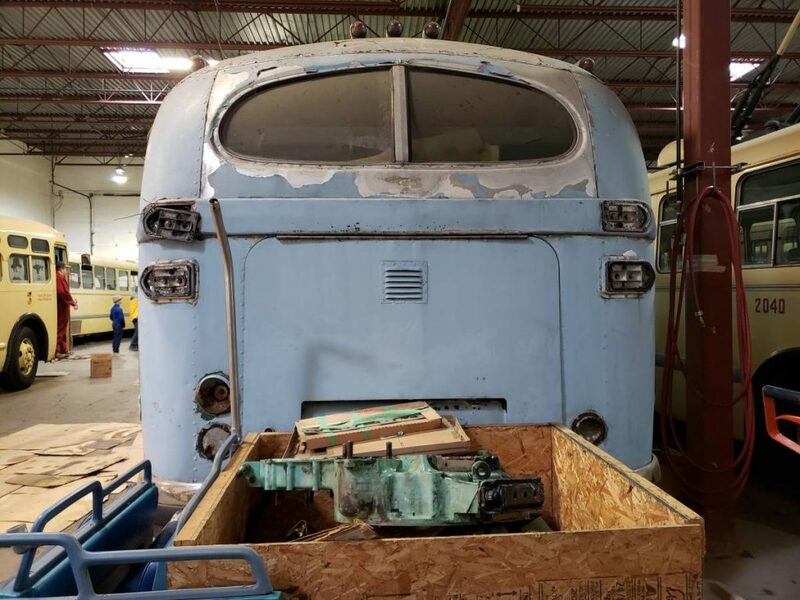 Despite its issues, #101’s aluminum body is still in good shape with no damage or rust and most of its windows are intact, including the difficult-to-reproduce curved windshield. 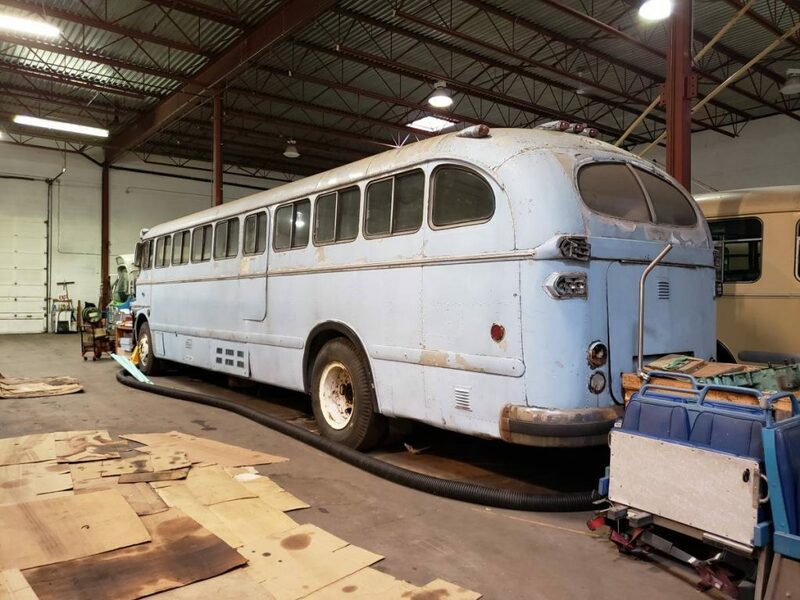 It is a complete bus with absolutely no missing parts and even some spares included. Our efforts to restore #101 were stalled by the cost required to fix the structural damage alone: $25,000. A full restoration could easily exceed $100,000 and possibly enter the millions. With the existing costs of maintaining our operating fleet, working on other projects, renting our facility and no source of the funding we need to restore it, our loss is your gain. 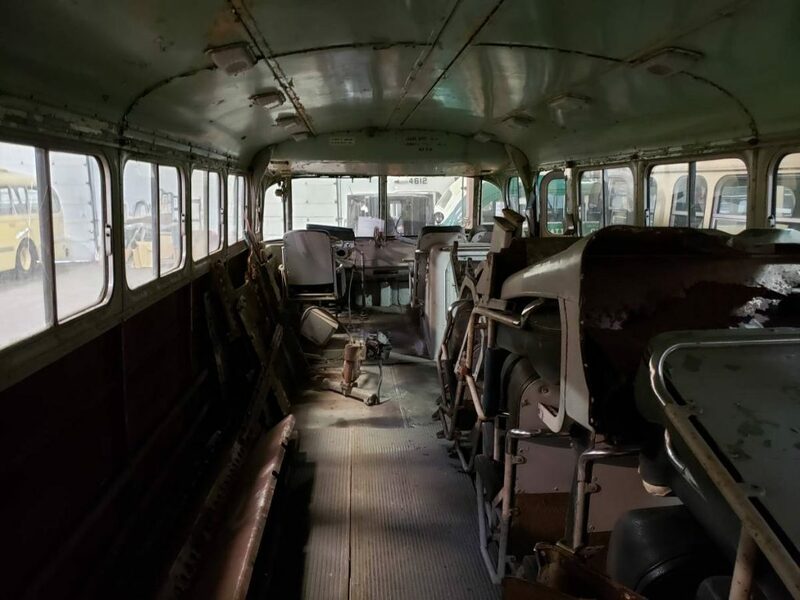 #101 in its current state would make an excellent parts donor for an operating IC-41 or existing restoration. It would also make a good candidate for restoration due to the good condition of its body. If you are interested in purchasing this coach, please contact us by clicking here. We are asking $3,000 or best offer and can assist with transportation at your own expense. Please note that a flatbed trailer will be required for transportation due to its structural issues. Will it Be 678 or 740? scrap it, keep us in mind because we might want to take some seats and other parts. arrange to have it towed to scrap. buses outside in our compound. After some discussion he agreed we could take it. chance to acquire the bus. came sailing around the corner. away. It was 7pm. It only took three and a half hours from the first phone call to delivery of the bus. 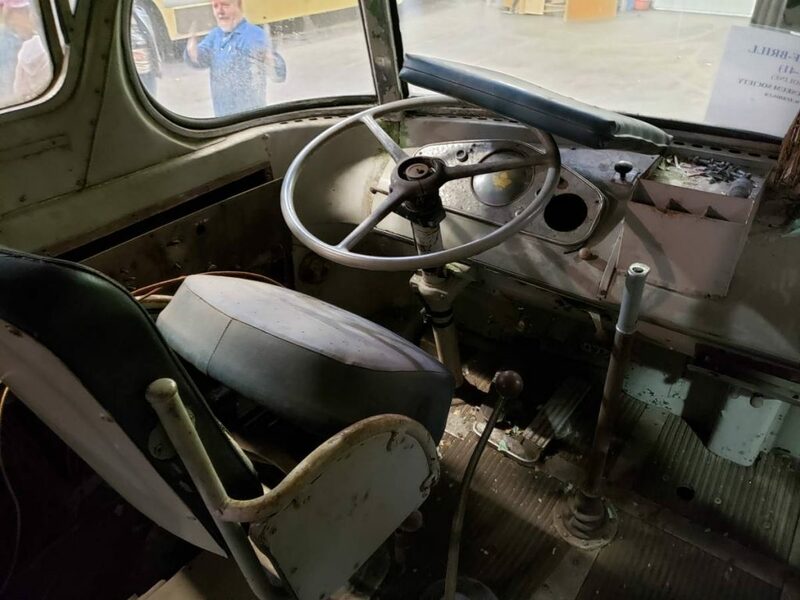 work on the inside of the bus. interior. Over the next week, Jason Sharpe and Matthew Walker joined in the cleanup. recommendation. 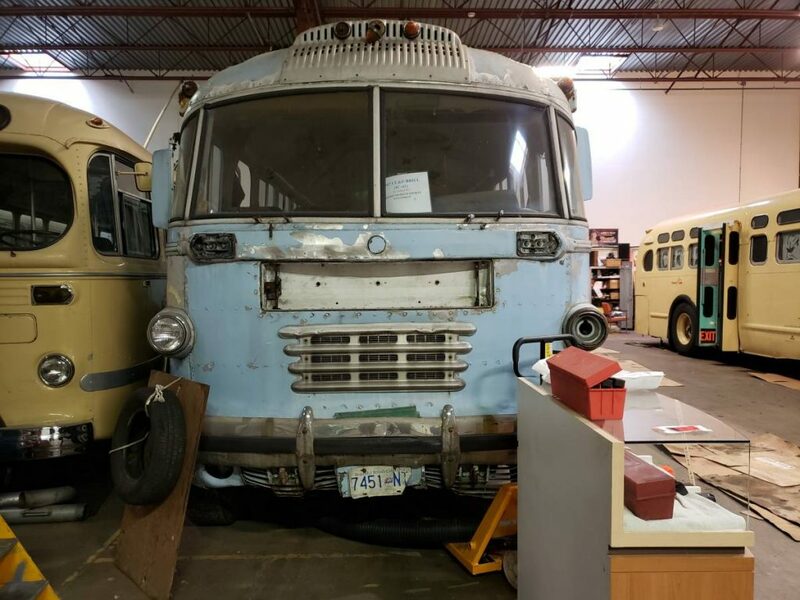 We understand that if the Museum keeps the bus, it will become a long term project. be known as #740 or #678?